On Friday night, 4 runners donned spooky outfits and head torches for the Skeleton Run. Sarah Terry ran frightfully fast to finish 4th lady overall, in 40:47, just ahead of Phil 'scary' Stevenson in 40:48. Amanda 'Bloodbury' and Teresa 'Terror' Talbot both trotted round in 1:18:37. 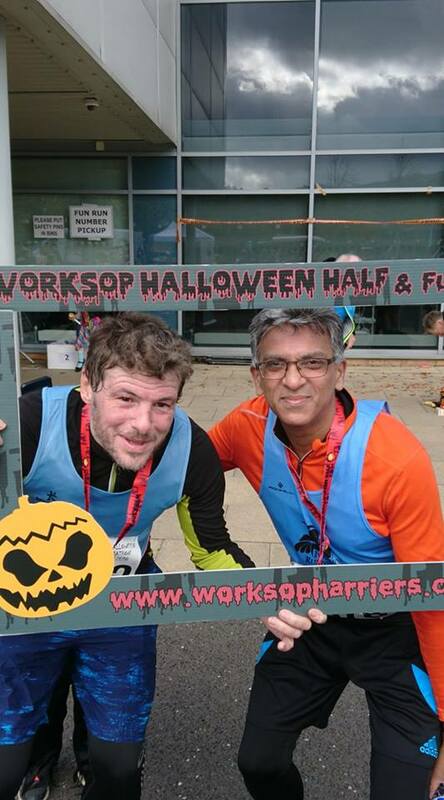 While some Ivanhoe runners were battling the hills at Launde Abbey, others opted for the Worksop half marathon, a popular choice for an autumn half marathon with a good rural course and a Halloween theme. Alistair Chambers finished first for the club in 1:26:58. James Cox had another good finish in 1:39:52, with Tim Moore continuing an improving trend in 1:49:05. Mukesh Deva rounded off the team in 1:54:03.